Last night was a pinnacle moment for this Ol’ Colonel’s career. My dear friend and childhood superhero #GeddyLee decided to join The Delirium onstage in Toronto for our rendition of Sean’s Dad’s, "Tomorrow Never Knows." As Geddy slinked out of the shadows with my Pachyderm bass in his mighty grips, the crowd slowly swelled to a frenzy of recognition. The energy and excitement was so palatable that it brought a joyful tear to my eye. 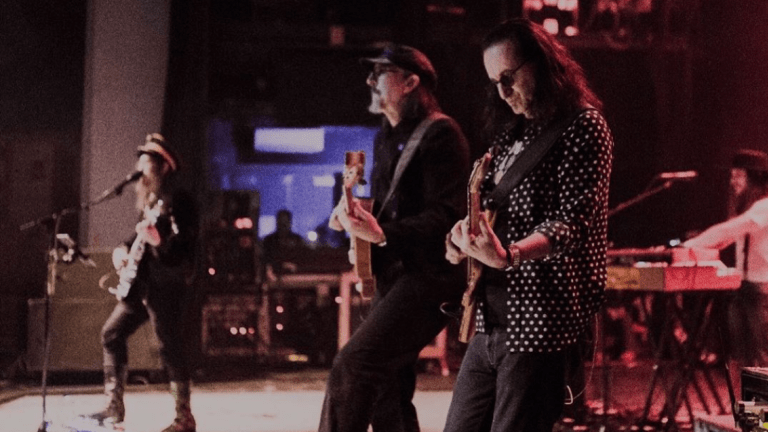 Like Joe DiMaggio stepping back up to the plate, Geddy proceeded to show us all why he is one of the greatest to ever wield a four string piece of furniture. It was pure magic and I imagine I&apos;ll feel the tingle on the back of my neck for some time.